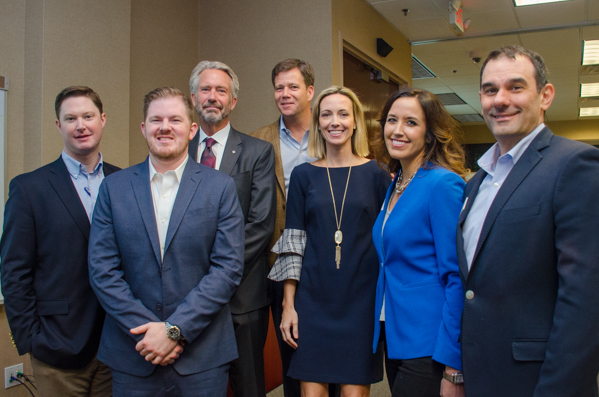 The October 17th Education Seminar featured a terrific panel focused on the Inside Perspective of Commercial Real Estate, exploring evolving tenant needs in this experience-driven environment. Lindsey Murphy, with NELSON moderated this discussion which included Peter McGuone, CBRE, April Parrish, with Cushman & Wakefield, Mark Vollbrecht, of Zeller Realty, and Ryan Woods, with the Beck Group. The changing workforce and advanced technology are key drivers in providing the amenities, culture and community that tenants are looking for. Office space is no longer simply a cost item, but an extension of a company’s brand, and a new way to attract and retain skilled workers. Hospitality and even healthcare elements are influencing design trends as developers strive for activating spaces with energy, vitality, warmth and wellness. All of the panelists commented on several trends that include the expanding role of property managers as building ambassadors, the commitment to create social hubs that initiate “casual collisions,” and the need to provide flexibility and agility -- from the pivotal first impression of the lobby, to easily modifiable furniture options. The ACBR wishes to thank all of the panel members, our moderator, and our panel coordinators -- Graham Little, of John Hancock, and Jeanette Meyers, of NELSON, for presenting such a lively and informative education seminar. Make plans now to attend our November seminar featuring Dr. Roger Tutterow, of Kennesaw State University, on Wednesday November 14th as he presents his highly-anticipated annual economic forecast for 2019.